In the puerh storage world there has been a fierce debate in the past decade or so between those who believe in “dry storage” and those who don’t. Until the appearance of “dry stored” puerh, there has only been one way to handle this tea. The vendor (and it’s always the vendor — individual consumers didn’t buy raw puerh cakes, period) would take in his big order (we’re talking hundreds of cakes or more). Having evaluated the tea, which usually comes through a middleman who handles the actual transaction, he would decide what to do with it and how to handle it. Then, the tea goes into the “ground storage” 地倉unit, which is usually some basement in a building on a hill or something similar, so that it’s quite damp and dark. Usually, the storage unit already has lots of tea in there, aging, and the vendor would make room for the tea. Now, this environment is usually high humidity and high heat — it gets hot in there for natural reasons (Hong Kong can get to 30C+ in the summer). Now, the tea isn’t just stored in there forever, and isn’t just going to stay in there for the duration of its life until it’s sold. The teas were put on little wooden platforms so they don’t touch the ground, and likewise they do not hug the walls — all to avoid excessive moisture accumulating. Also, the teas would get “rotated” every few months, which is actually a fairly big operation. What it does is to even out the aging process. So, a jian of tea that was sitting in the darkest, wettest corner of the storage unit won’t stay there forever, but instead moved out to the front where it’s drier and airier. The stuff that has been in the open before now gets the dark corner, etc. The same is true for how high the tea is placed (stuff on top gets moved down, vice versa). It is, I think, important to emphasize that they want to avoid excessive moisture. This storage process differs by the tea and the vendor, but generally speaking, from the different vendors I’ve talked to, a tea normally would not stay in a ground storage facility for more than two years. Then the tea gets moved to a regular, dry storage facility, where the “removing the storage” 退倉 process begins. This would take much longer — six, eight, ten years, or whatever the vendor deems sufficient. It is only then when the tea is ready. It’s not that obvious here, but you can see white here and there on the leaves. If you don’t know what you’re looking at, you can easily take this to be bad, spoiled tea, only fit for the garbage. It looks bad, and it even looks bad when it’s in a cup — dark, almost pitch black sometimes, and generally looking somewhat murky, with that musty smell. If the “removing the storage” part hasn’t really been completed, or done poorly, it can still smell strongly of the ground storage unit, which can sometimes be a bit offensive to the untrained palette. However, I am pretty sure this stuff is safe. After all, millions of people in Hong Kong drink this sort of thing every single day in restaurants everywhere. If it’s dangerous, its dangers are not apparent. Also, this method of storage means that each teahouse has its own flavour — after a while, if you keep going back to the same stores for different kinds of puerh, you’ll start to notice that each have their distinct “house” flavours, no doubt related to how they store and handle their teas. In this way, buying a puerh is as much buying a product of the original producer, as you are buying a “finished” (as opposed to raw) product from the tea vendor. Now, dry storage — this is a term that really started showing up in, I believe, the 90s, and took on a whole new life after 2000. It is often attributed first to Vesper Chan of Best Tea House, although that distinction is questionable, but he’s probably the guy who’s the earliest and biggest beneficiary of this. What dry storage proponents believe is that traditionally stored puerh has a crucial flaw — that the process of putting the tea in ground storage fundamentally alters the way the tea tastes and smells, and some would also claim that it weakens the tea’s qi, and all the other stuff. On the other hand, something stored purely in a dry environment, meaning without ever going into that ground storage unit, would not have this problem. It retains the strength and the aroma of the original tea better. The downside is that it takes a lot longer to age. The tea also keeps its astringency a lot longer, as well as the bitterness. It is also important to keep in mind here that dry storage doesn’t mean bone dry, “store it in a desert” storage. It means keeping it in an environment where there’s still a healthy amount of moisture (it’s Hong Kong, after all) and let it age naturally. Also, dry storage proponents, the ones who practice it on a large scale anyway, don’t generally store their teas in open air places — they are still storage units that are mostly closed off, shut off from sunlight, and stored carefully. Leaving it in a really airy corridor in the middle of an open air terrace in Arizona is not their idea of dry. I think when it comes down to it, whether you like dry or traditional is really a matter of personal preference — there’s no easy answer to this. Those who use the “health” argument against traditionally stored teas are, I think, wrong, and increasingly, my friends in Northern China who used to hate that stuff are coming around to it. Dry stored teas have their place as well, I think, as it is really the theory that underpins home stored tea — before this, as I mentioned, nobody bought raw cakes. When YP, a really knowledgeable tea friend in Hong Kong, went with her friends in search of green, raw cakes in the 90s, the vendors basically stared at them like they’re from Mars, asking “you want WHAT? Why would you ever want that stuff?” It just wasn’t done until pretty recently. The fact that we all have tongs of teas in our own houses now is because we think we can do it ourselves. One problem with traditionally stored tea is that it is often confused by consumers with fake tea — those teas that have been sprayed with water and (as one report had it a few years ago) literally left in the pig sty to age, or stuff made with discarded tea leaves not fit for human consumption, but made to look old. Traditionally stored puerh is most definitely not fake. It may not be your cup of tea, but it is very, very real, and it has been around longer than dry stored teas. With that in mind, I would like to propose a shift in nomenclature — the use of the term “traditional storage” to substitute for the term “wet storage”. We can relegate “wet storage” back to where it used to be — where the fake teas belong. Traditional storage, on the other hand, is a venerable method of preparing tea for consumption in a very specific and technically skilled method. I think it deserves its place in the sun. At what age does a raw green cake start to taste like a ripe cake? I find a lot of vendors online selling a lot of ripe puerh. Do you ever drink “ripe” or “cooked” puerh intentionally? The answer to your first question is a complicated one, but I think the short answer is “never”. There’s always a difference between aged raw cakes and cooked ones. As for the second question — not very often at all. Once in a blue moon, yes. I agree, but the difference seems to start to become less and less distinct when a raw puer is from the 1950s or before. The taste is still different, and the tea will probably still last for more infusions, but if you have some of these really old sheng, you can start to see the smoothness, color and taste that shu is trying to emulate. Yeah, but generally I find it completely pointless to talk about these things online — 90% of the people reading this have never had anything from the 50s or earlier, so talking about super old teas like that is just useless as a point of comparison. I don’t really have any preference my self, I appreciate teas stored according to both methods (as long as it has been done right) and it seems to me that the benefits from either method very much depends on the tea in question and about pairing the right tea to the right way of storage. But those conclusions are of course based only from drinking tea and probably with too much reliance on the storage specifications given by tea merchants, not from any personal experience with long term storage. You don’t really specify where (geographically) the “traditional” storage method is practiced. Do you mean that this is how it was done in every pu erh storing area or do you simply mean hong kong and around there? Is kunming-stored pu erh also a recent invention, would you say? I think traditionally stored teas tend to come from Hong Kong. Sometimes people use the word 港倉 to denote that — “Hong Kong storage” literally. There are some people now in places like Taiwan who also do this kind of thing, although the results are different and I find the Taiwanese version can sometimes be too wet, whereas those people in Guangzhou can’t get it right and I generally don’t like Guangzhou stored teas if they’re of the traditional mold — I think mostly because they haven’t gotten the timing/mechanism down yet. It takes experience, and as far as I can tell, they’re still exploring. As for Kunming and other places like that, the teas in those areas are almost all stored in the “dry” manner. The only time you see traditionally stored teas there are re-imports from places like Hong Kong/Guangdong. Thanks for your reply! You have obviously studied the matter in great depths, thanks for sharing! Would you then claim that Kunming storage or the like are not traditional or does your discussion only concern the different ways to store teas in Hong Kong? If so – and going back to your desire for a shift in nomenclature – maybe “traditional Hong Kong storage” is a more appropriate term, as apposed to “modern Hong Kong storage” and “traditional Kunming storage”. Otherwise, I think, it might be a bit misleading to some readers (similar to the often seen term “western style brewing” – as if every chinese tea drinker are brewing “gong fu”). It’s nice however to see someone in the tea community actually making an effort towards a more standardized terminology, there is much need for it. I think Kunming storage, by and large, is dry. Personally I think it’s too dry — teas from Kunming that are five years old or thereabouts that I’ve had have been disappointing, by and large. I think it’s rather silly to speak of a “traditional Kunming storage” because there really hasn’t been a long enough history of that to merit that tag. When we look at classic teas from the 80s or earlier, almost all, at some point or another, been through Hong Kong, and most likely have been through the storage process that I described. Post 80s we start to see “dry stored” teas appearing on the market, and as the puerh market evolves we’ll see more and more of that, stored in different places, such as Kunming, Beijing, Xi’an, etc. Since places like Kunming generally store their tea in the “dry storage” category, I believe that label is sufficient when discussing a style of storage. Now, if you’re talking about individual cakes or batches of cakes that were stored in specific places, then you need to mention locations. Even then, there are microclimates that we need to pay attention to. Someone who stores their tea in Kunming in a carefully monitored environment is a different thing than someone who’s just leaving it in a big warehouse. Sometimes even different parts of a big city may be different — San Francisco versus Oakland, for example. One difference that people like Chan Kam Pong have pointed out is that while HK is very hot and humid in the summer, there is a break of a few months when it’s cooler and less humid so the tea can rest, whereas some of the areas we’re talking about are very humid year-round. As I think has been mentioned, placement within the storage facility, compression of the tea (and placement within the tong), and how well the tea is protected all factor in to storage as well. There are some areas in Yunnan which are more humid than Kunming, though still perhaps not as humid as HK. Learned a lot of important new details about traditional storage here. I’m with Brandon. This is the most useful information about storage that I have seen anyplace. Thanks for sharing it. Traditional storage, on the other hand, is a venerable method of preparing tea for consumption in a very specific and technically skilled method. I think it deserves its place in the sun. Seriously, thanks for the solid information! The info is culled from different sources — oral and written. Cloud also has written things on this subject — I can’t remember if it’s on his site, or if it appeared in print. Cloud’s articles on storage are collected here. But your version is much more concise. For me “wet-storage” and “dry-storage” are perfectly adequate terms to describe the flavour of stored Puerh. Bad tea is just bad tea. I buy a tong of tea when I find a beeng that I like, so that I can enjoy drinking the stuff for longer. My tea changes over time and I like that it does – I enjoy the journey. If it improves over time then all is well. I don’t buy it because I “think I can do it myself” (whatever “it” really is!). I disagree with most so far….. but the chatter has been interesting. I live in GD and I buy my tea raw from KM. So not traditional…… I have to say puerh is not that complicated. Cakes start out rather astringent and a bit bitter , but not unlike the 3rd or 4rth wash of green tea. Then after time from oxidation, microbiotic processes, the weather or maybe even spirits they turn smoother, redder and more delicious. China…….. OMG if you listented to every piece of “traditional” advice from every Chinese person you met you would have about two billion different traditions to follow….. (diaspora included) Chinese people believe that eating certain foods will make you taller ….. after puberty….. Chinese people have told me that eating black beans will turn my hair and skin black. Chinese people have told me that drinking bak jao (rice whiskey) is good for a cold. Eating spicy food is dangerous….. unless you live in a humid place etc. etc. 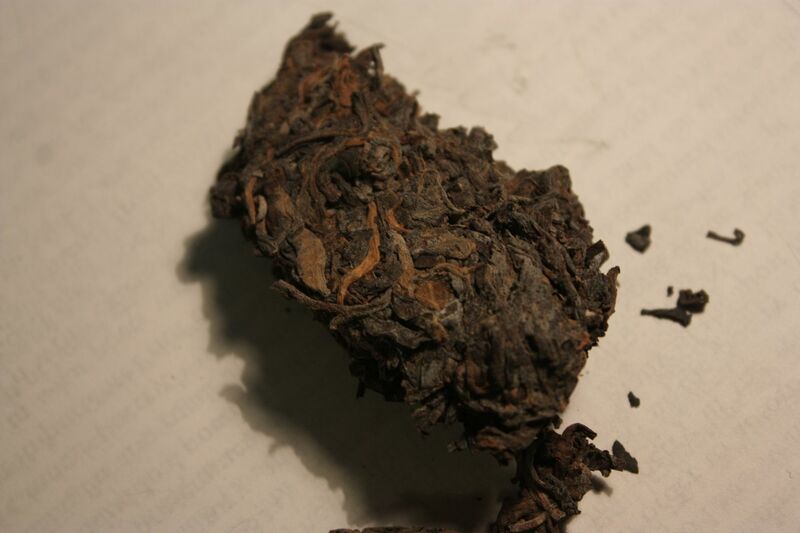 Basically aging raw puerh has traditions in a few diasporic like chinese cities….. HK MC TP Sanfransico etc. 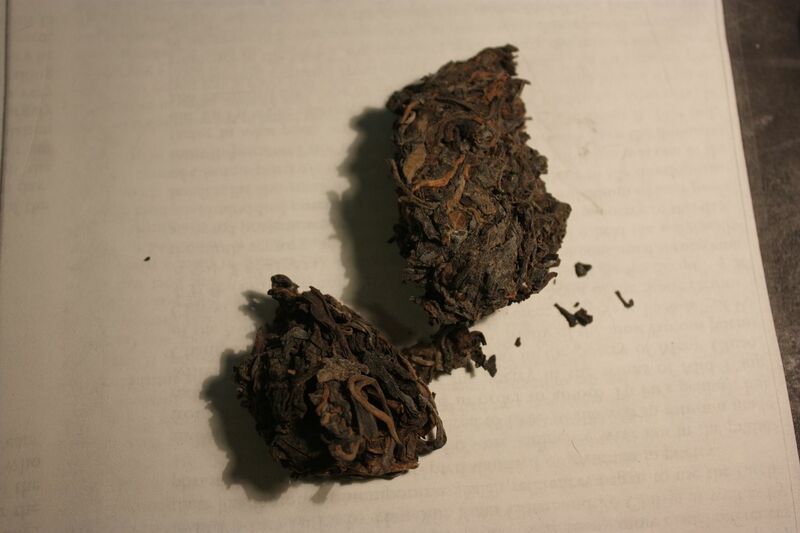 But even there from 1970 on 90% of the puerh gifted, consumed, bought and drank is ripe/cooked. So they basically want to turn raw puerh into cooked puerh and the only way to do this is with high humidity. Puerh will still age under relatively dry conditions and develop wonderful camphor/ floral notes and a really syrupy body, but you won’t get that ruby red color with out some humid storage. On to the positive I agree with two points. First alternating is key. It prevents stagnation and diversifies your tea’s experience. All of the old tea houses alternate more and less humid. So I do 5 years dry 1-2 humid etc. In hk and tp they do 2 years humid one dry. Second I agree aging your tea and the danger is stagnation and wetness (not humidity) and children and pets….. but thats like everything in life. Also lets be clear here when we say humid we mean REALLY humid. GD hk mc are some of the most humid places Ive been too. literally the walls sweat every spring and summer and humidity well over 90% is the norm for three quarters of the year. Ive seen puddles form on the floor even though it hasnt rained in weeks just because of humidity condensing in the morning. But the key is dont let it get damp or wet to touch….. humidity is great for the cakes (imo) especially if you like them dragon blood red in my experience its the only way to get that colour. I also agree the hard part is finding out what you like …….. oh wait thats the fun part…… Heres my best advice if you have cash don’t be afraid to buy. My first brick of raw puerh cost less than 20 dollars. Its still my favorite and to this day I haven’t been able to find that brick again. Now its like over 10+ years later and if I could find someone with that brick it would be about hundreds prolly. I still saved a little chip and drink it ……. in my smallest pot from time to time. |Thoughts served as food…. I don’t think you were disagreeing with anything I wrote if you read me more carefully. If I read your post, MarshalN, I get the impression that it should be rather easy to do this ageing process on a large scale to meet the market demands. Yet its very difficult and expensive to find traditionally stored teas.. are they out of fashion after all, is dry-stored tea cheaper to produce? They are out of fashion, mostly.